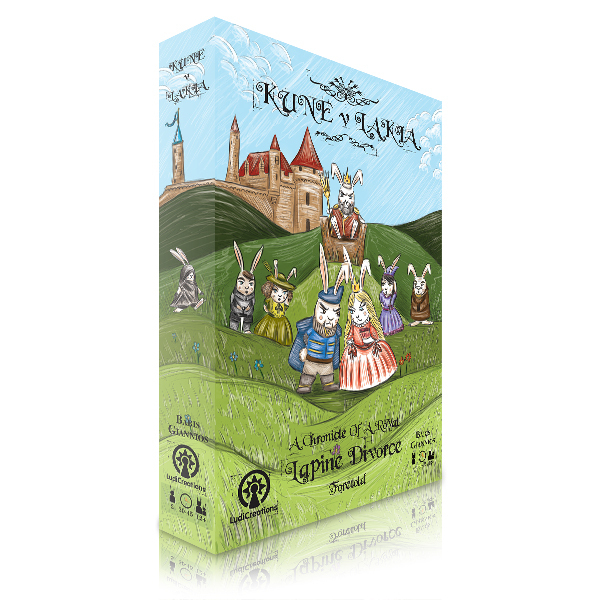 Influence courtiers, take control of property and plot your way to victory, in this quick deck-building card game for 2 players. 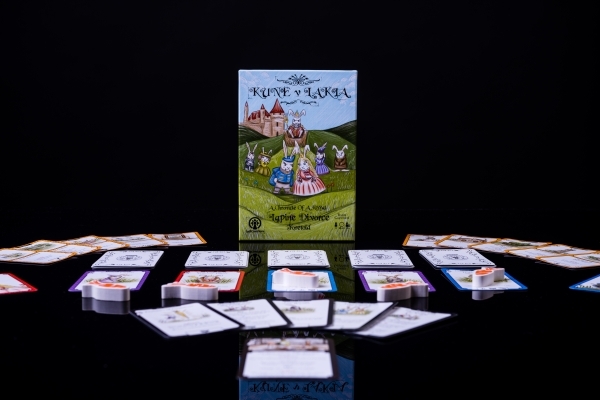 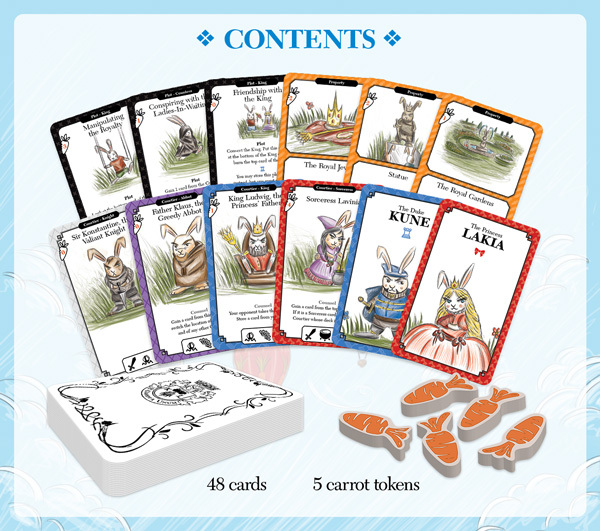 KUNE v LAKIA: A Chronicle Of A Royal Lapine Divorce Foretold is a game for two players, each acting for the Duke or the Princess during the divorce proceedings. 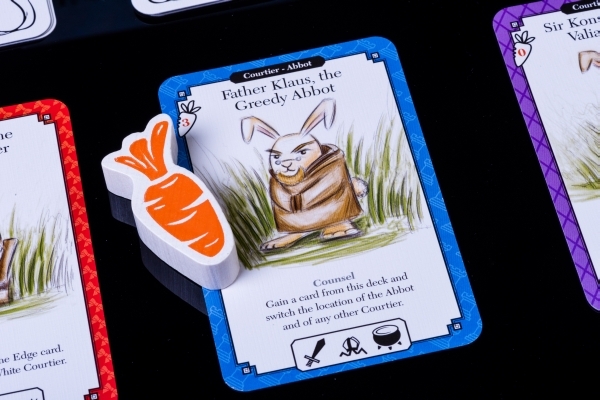 A starting hand of five assets (manors, jewelry and abundant wealth) is drawn, and the players use those assets to influence members of the royal lapine court (the abbot, the sorceress, the duke’s sister, the king, and the knight). 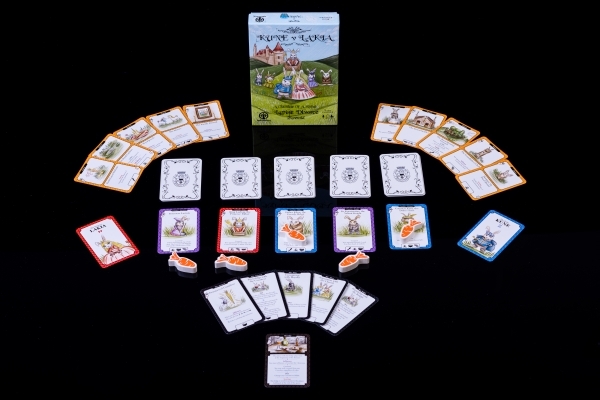 The favors gained and plots hatched are represented by cards added to each player’s deck. 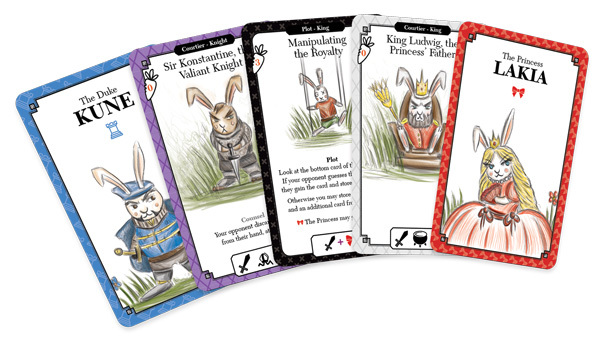 These cards can be used to further influence courtiers, hide property, and hinder the opponent’s ability to do the same. 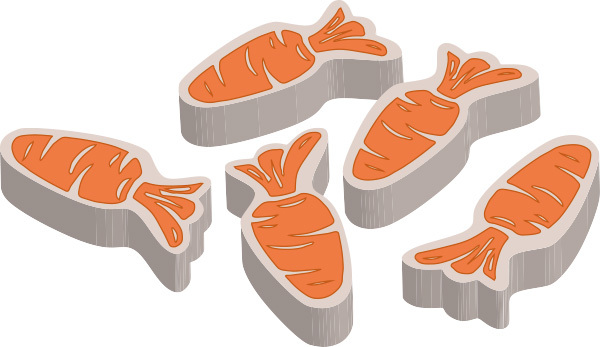 Much like in a real-life divorce, this is a highly interactive process, and not an easy one at that. 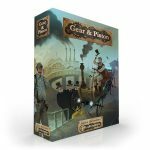 In a game of behind-the-scenes plotting and intrigue, only the most clever player will emerge victorious in the struggle for prestige, property and power!